Located just off the bustling A4126, Wolverhampton test centre can be found near Machine Mart, LeagueRepublic and Great Bear Distribution Limited. Moderate in size, this unassuming building receives more than enough learner drivers each month. If you're looking to take the final step towards becoming a fully qualified driver here, get to know it better. Read on for directions, pass rates, test routes and much more about Wolverhampton. Barely 10 minutes from the busy city centre of Wolverhampton, just near Thompson Avenue A4123, Wolverhampton test centre is ideally placed for those situated in and on the outskirts of Wolverhampton. If you don't fancy getting lost on your first trip to this test centre, use these handy directions. With the DVSA no longer publishing routes, you won't be able to get your hands on an up-to-date one for Wolverhampton. 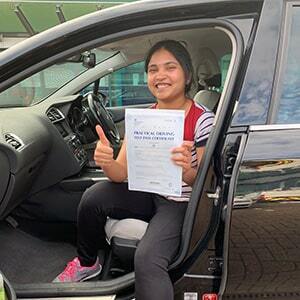 You can still get a good idea of how your route might pan out by looking at videos of Wolverhampton test routes on YouTube or by downloading our sample Wolverhampton driving test routes. If you’re learning with a local ADI, they'll also have a good idea of which roads are most likely to feature on your practical. As long as you pay attention during your lessons then, you should be more than prepared for your big day. The pass rates at Wolverhampton test centre in recent years haven’t been that bad, all things considered. Before you start preparing for the worst, just remember that it’s not numbers that decide the result of your test: it’s your ability. What If I Can’t Go To Wolverhampton? Looking for alternative test centres to head to? You might want to check out Wednesbury or Featherstone. If you’re anything like us, you probably hate waiting for results. Fortunately, once you get back at Wolverhampton test centre, you’ll find out straight away how it went. The examiner will even walk you through any faults you made by using a feedback sheet. If you're successful, you'll get a test pass certificate and send off for your new licence. 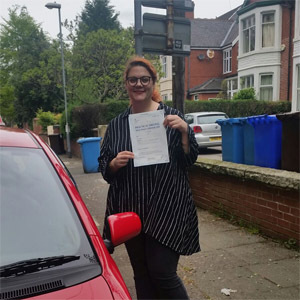 You wouldn’t be the first to fail your driving test, and you certainly won’t be the last! It’s a pretty common situation for learner drivers. We’d advise taking more lessons with your instructor to improve your weaker areas and get your confidence back up before you take another test. If you need another test booking, we can fast-track one for you ASAP. To get things started right now, call us on 0333 123 4949 or contact us on our website. Dying to get on the road asap? You might want to invest in an intensive or semi-intensive driving course. Instead of spending months learning to drive, you can get everything sorted in weeks. 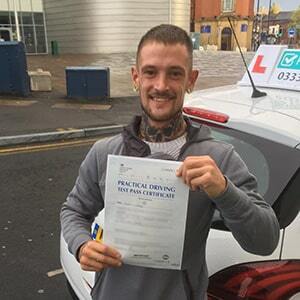 PassMeFast covers practical test centres across the UK, helping learners—with any level of experience—build up their skills until they’re ready to take their test. And to speed up the process even more, we offer fast-track practical tests with all of our courses. Get a full list of what’s on offer on our course prices page. Once you’ve got an idea of what you’re looking for, simply give us a call on 0333 123 4949 to start your journey with PassMeFast. If you’d prefer, you can book online instead.